Margaret Cruickshank was the first woman to be registered as a doctor in New Zealand. From 1897 to 1918 she served the small South Canterbury community of Waimate. She worked tirelessly during the 1918 influenza pandemic but eventually caught the disease herself and died on 28 November 1918. Margaret Barnet Cruickshank and her twin Christina were born at Palmerston, Otago, in January 1873. After their mother's death in 1883 the twins attended school on alternate days so one could stay home to care for the five younger children in the family. In the evening the other taught her twin what she had learnt that day. After attending Palmerston District High School, Margaret went to Otago Girls' High School, where she was joint dux with her sister. Christina Cruickshank gained an MA and MSc at the University of Otago and became principal of Wanganui Girls' College. Margaret attended the University of Otago Medical School. 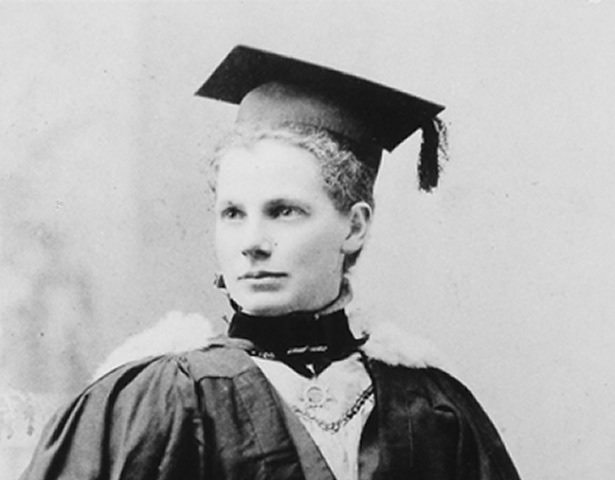 In 1897 she became the second woman in New Zealand to complete a medical course - a year after her friend Emily Siedeberg. Margaret then accepted a position as assistant to Dr H. C. Barclay of Waimate, and on 3 May 1897 became New Zealand's first registered woman doctor. Apart from a year's study in Britain in 1913, she worked in the town for the rest of her life, eventually becoming a partner in the practice. Her dedication to her work made her immensely popular in the small South Canterbury community. Where the mother was laid low, she fed the baby, prepared a meal, and in many cases where whole families were laid low she would milk the family cow to obtain milk for their sustenance. Margaret caught influenza herself and died of pneumonia at Waimate on 28 November 1918. She was one of 14 New Zealand doctors who lost their lives during the pandemic. In 1923 the people of Waimate unveiled a 3-m-high memorial statue to her in Seddon Square, inscribed 'The Beloved Physician/Faithful unto Death'. The maternity ward at Waimate Hospital was named in her honour in 1948. And in 2007 the Ministry of Health named a pandemic preparedness exercise 'Exercise Cruickshank' in recognition of her work during the 1918 influenza pandemic. We have 1 event in history, 11 biographies, 5 articles, 1 comment related to Margaret Cruickshank. My mother went to school in Wanganui, when Miss Cruikshank was Headmistress. Mum always spoke highly of both women.